"On April 6, 2017, the Ethics Committee announced that it would investigate allegations that I made unauthorized disclosures of classified information. I'd like to thank the Ethics Committee for completely clearing me today of the cloud that was created by this investigation, and for determining that I committed no violation of anything-no violation of House Rules, law, regulations, or any other standards of conduct. "While I appreciate the Ethics Committee's work, I need to reiterate that the allegations against me were obviously frivolous and were rooted in politically motivated complaints filed against me by left-wing activist groups. I respect the ethics process, but I remain dismayed that it took an unbelievable eight months for the Committee to dismiss this matter. 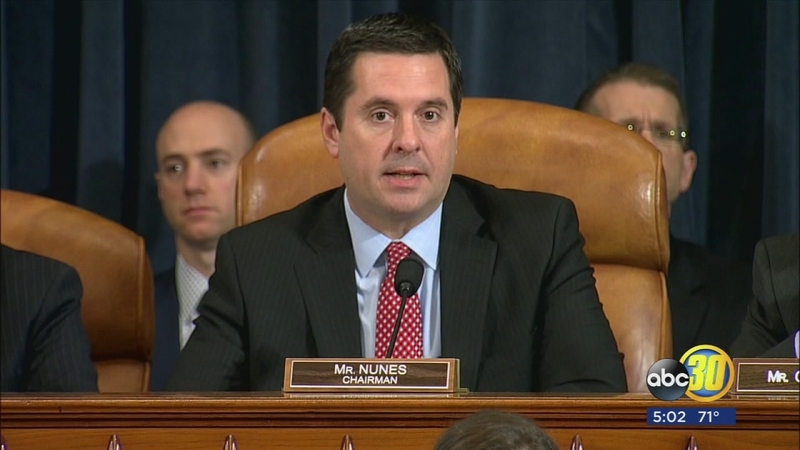 "Furthermore, as Chairman of the House Permanent Select Committee on Intelligence and as a Member of Congress, I am concerned about the unprecedented step the Ethics Committee took in both taking up allegations of unauthorized disclosures of classified information-a review that has historically been undertaken by non-partisan professional staff within the respective congressional committees-and how it ultimately reviewed this specific matter. "I am also concerned by public statements made by four of the Ethics Committee's five Democrats that appeared to prejudge this matter before they began investigating the complaint. "I therefore call on the Ethics Committee to publicly release all its transcripts related to my case. The Committee can work with me and my staff to ensure that any necessary protocols regarding classified information be adopted prior to any such release. Both this House and the American people would undoubtedly benefit from such an act of transparency and accountability to bolster confidence that partisanship does not infect the Ethics Committee's investigations."